Construction accidents occur every day, and it is the task of the Occupational Safety and Health Administration to research these accidents. OSHA puts forth regulations that ensure the safety of construction workers and investigates claims. Currently, OSHA employs 2,200 inspectors who investigate the causes of dangerous construction accidents. There are a total of 90 local OSHA offices and 10 regional offices.OSHA maintains a budget that can be drawn upon by workers who have been injured in construction accidents. In 2013, the total budget of OSHA is $563,658,000. In 2011, OSHA found that over 4,000 workers died as a result of dangerous construction sites. The statistics reveal that this accounts for almost 13 deaths occurring every day. If you were injured in a construction site accident, then it may be likely that there was an OSHA violation at your construction site. OSHA can come out to investigate the scene of your workplace accident and may deem it necessary to issue a citation. 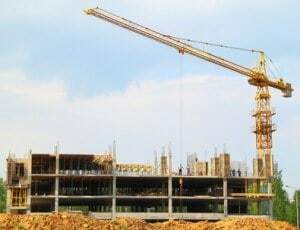 The Chicago construction injury attorneys at Rosenfeld Injury Lawyers LLC can assist you in the process of contacting OSHA to receive an investigation of your workplace. With the help of our lawyers, OSHA may be able to issue a citation that can be used in your case. OSHA citations usually serve as powerful evidence that a construction site employer was negligent in maintaining a site. Get in touch with construction injury lawyers to receive assistance in your work injury lawsuit today. Falls: Construction employers have a duty to provide safeguards in areas where workers are at a risk for falling more than six feet. Struck by an object: Workers on a construction site must wear certain protective gear to protect themselves from falling objects. Employers may have a duty to provide this protective equipment to workers. Caught in equipment: Protective systems must be in place to protect workers from the possibility of getting caught in equipment. Electrocution: Employees must be provided with protections if there are electrical circuits on a worksite. When you have been injured on a construction site, it is important to ensure that a proper investigation of the site is conducted. Construction site lawyers will investigate a site to see whether the site has any violations. There can be many sanctions for employers that fail to abide by the strict regulations of OSHA. If a construction site has violations, then an employer may be ordered to pay fines to OSHA. Employers may also have to end a project if there are many worksite violations. Because of the strict sanctions that OSHA puts in place, workplace safety has been improved in a significant manner. Workplace fatalities have been dramatically reduced as a result of measures used by OSHA to protect construction workers. You can qualify for worker’s compensation or other damages if your employer does not fall within the worker’s compensation system. Contact our lawyers to understand the extent to which you may qualify for damages for your medical expenses, pain and suffering and loss of consortium. A construction injury lawyer can help you pursue a work injury lawsuit today.